Accent your living space with this stylish arm chair. Flared arms and tapered wood legs offer simple detail to this piece. Choose a cover that will make this chair standout and complement your own personal style. 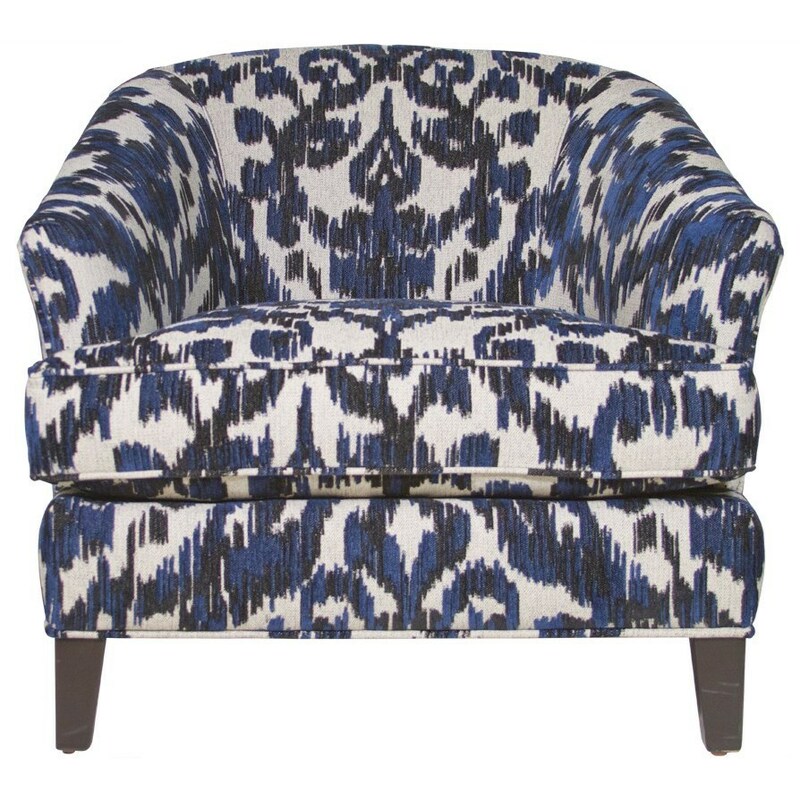 The Glendora Accent Chair by Jonathan Louis at HomeWorld Furniture in the Hawaii, Oahu, Hilo, Kona, Maui area. Product availability may vary. Contact us for the most current availability on this product. Frame Construction Our furniture is made of mostly hardwoods. A variety of other wood species are used in non-stress areas. To prevent the frame from warping, splitting or cracking over time, stress joints are reinforced with corner blocks, wood glue, and high-pressure stapling. Dacron polyester padding throughout prevents the upholstery fabric from coming into direct contact with the wooded frame. Seat Support No-sag seat suspension features heavy gauge sinuous steel wire. Springs are evenly spaced 4" apart to provide added stability and uniform comfort. Warranty Jonathan Louis International (JLI) provides this Limited Warranty to the original retail purchaser of our products for consumer use. A lifetime of the product warranty on the wood frame, where lifetime shall mean seven (7) years which is the anticipated useful life of the furniture. Three (3) year warranty on the seat cushions, fillings, and springs. One (1) year warranty on the upholstery fabrics. And four (4) years for any implied warranties not disclaimed. This warranty covers defects in materials and workmanship under normal home use.